Last week was Facebook’s annual F8 Conference, a 2-day event aimed at developers that’s also an opportunity for Facebook to reveal new features in the works. This year there was a lot of buzz around video – not surprising, since video is a huge growth area for social media at the moment. Facebook announced the launch of embedded video and 3D video within its services, underlining the fact that, in social media, after messaging, video is king. Short, unrehearsed videos are great for capturing the magic and fun of the moment, whether you’re using video for promotion, to engage your invitees or for posterity. It’s also now really easy to do, thanks to handy smartphone cameras. 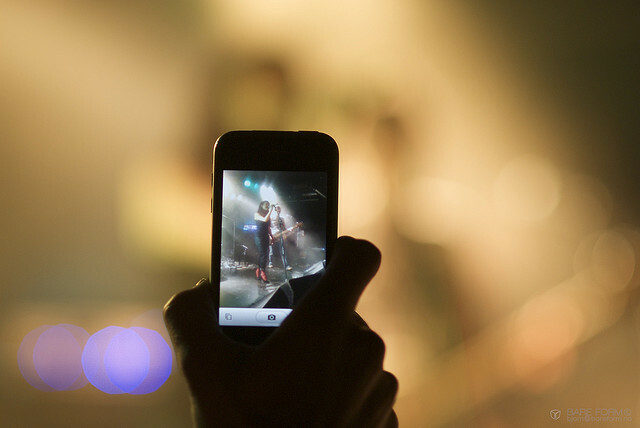 And the SquadUP app makes it even easier to share event videos, by aggregating all social posts on Facebook, Twitter and Instagram that are hashtagged to your event, including video. Shoot a quick video during the prep phase for your event, showing things coming together and raising some hype. If you’ve got a big headliner, get a quick interview and post it before the event. If you’ve got a nice-sized crowd, find some high ground and do a “View from above” video. Record and post micro-movies of the entertainment, key speeches, etc. that can be viewed after the event and used for future promos. Get rare behind-the-scenes footage that can be posted now and also used for future promos. Do a moving-through-the-party shot, giving a sense of who’s there and the general atmosphere. No dialogue needed. Interview event-goers, homing in on any interesting or notable guests. Give a quick rundown of the event’s purpose, especially if it’s an event for a cause (like a charity fundraiser). No matter how you do your quick shots, posting stuff during the event itself is sure to be a hit, and can also help get last-minute-Larrys to show up at your event if they’re undecided. With SquadUP’s social gallery, notifications and live chat feature, anyone who’s on the guest list will be able to see the action in real time. Do you have an idea for using video for an event? Comment below or tweet it to us!